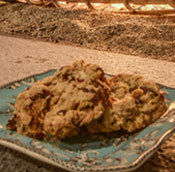 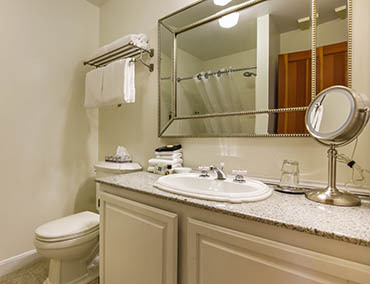 We make each guest feel at home, with welcoming rooms offering all the small comforts that really count. 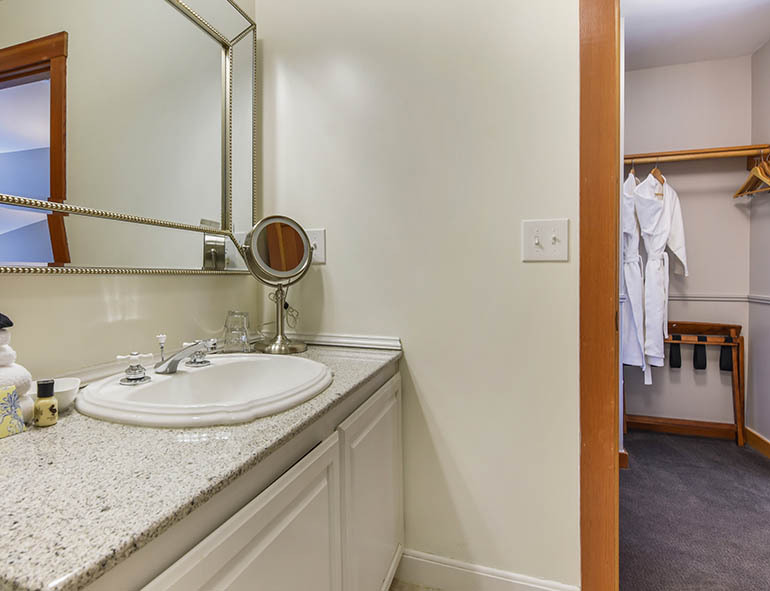 Relax and escape in cotton bathrobes, high-quality bed linens, gorgeous complimentary bath and body products, free high-speed Wi-Fi, and more. 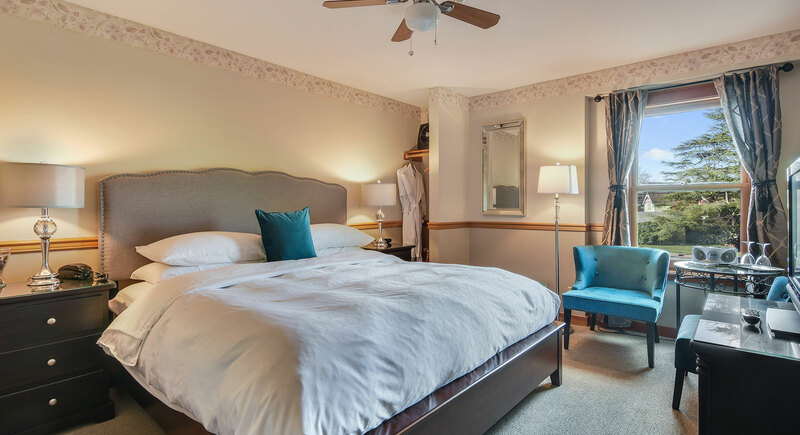 Make an online reservation for accommodations at the Wild Iris Inn and enjoy our lovely inn features, including a two-course complimentary breakfast. 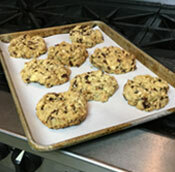 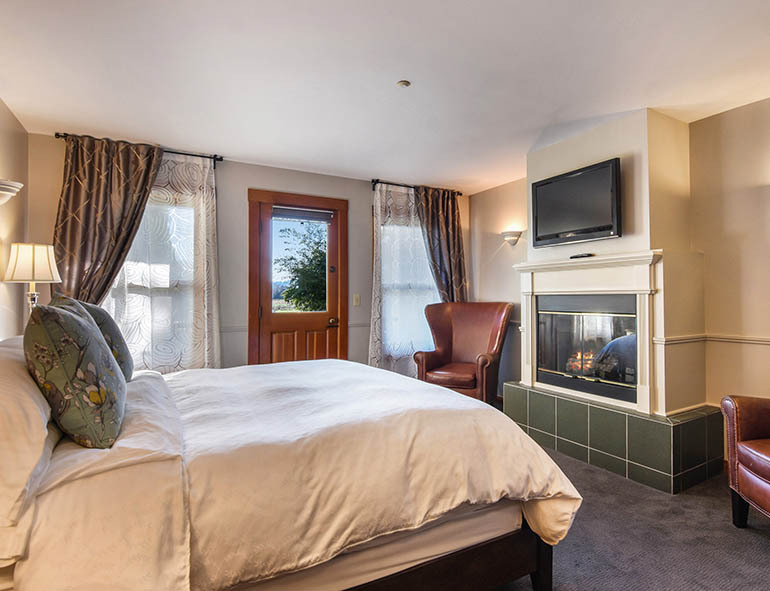 You can add to your Wild Iris Inn experience with a special package add-on; click here for more information. 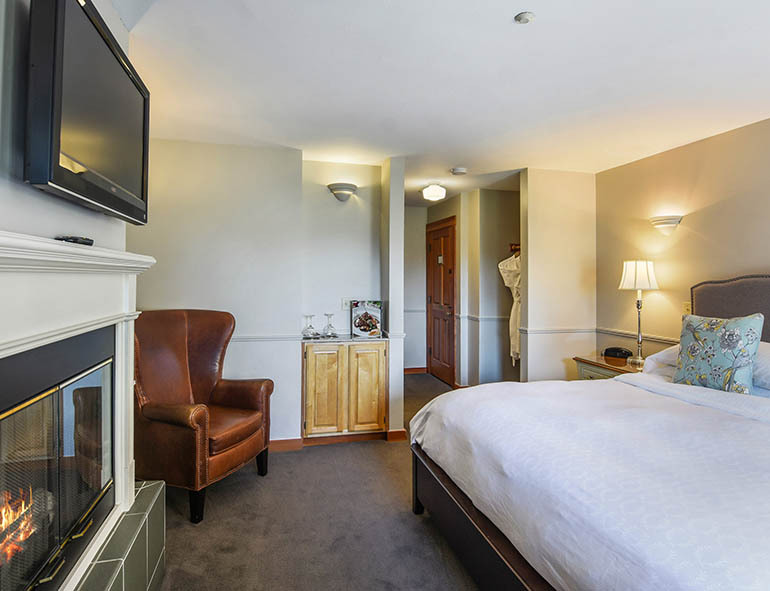 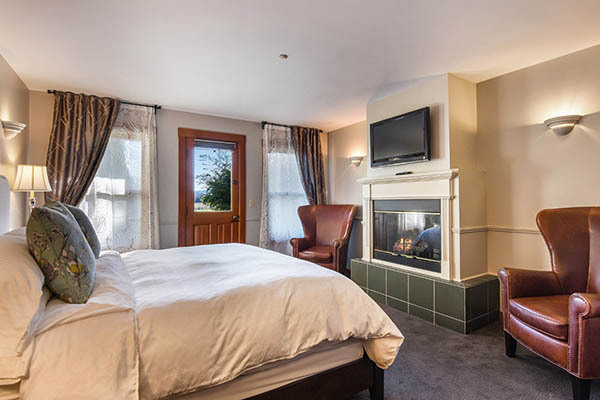 Live in uncomplicated luxury in this spacious suite featuring a deluxe King bed and stunning easterly views of the surrounding farmlands and Cascade Mountains. 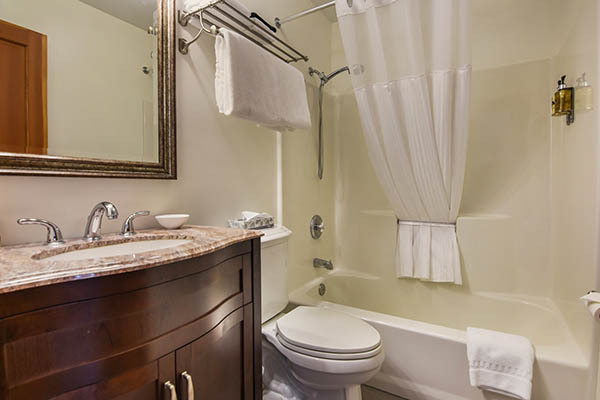 The private ensuite bathroom features a walk-in shower, while the main room offers a large Jacuzzi spa tub where you can enjoy our complimentary bath and body products. 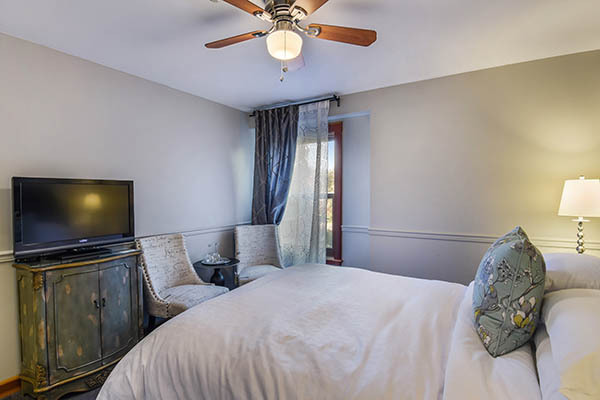 Main floor Deluxe King Suites have two windows and direct access to a private deck with a table, two chairs, and steps down to the garden; second floor suites feature two windows and a private balcony with two chairs. 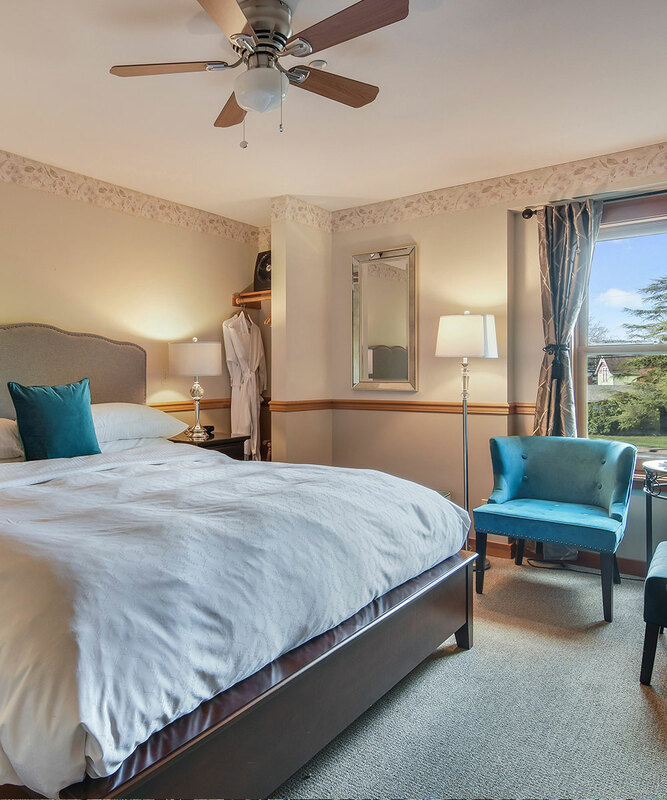 *Rates vary based on season, availability and dates. 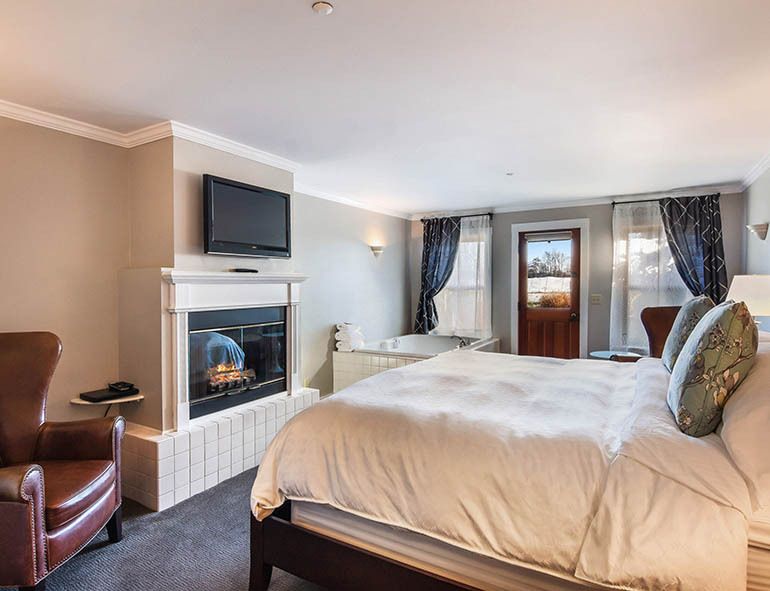 Always confirm with Reservation System for best available rate. 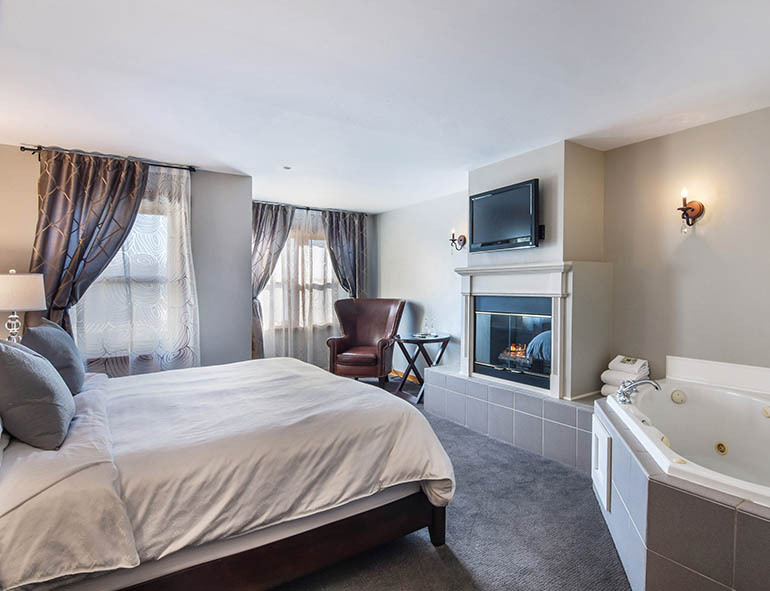 This gorgeous oasis offers a deluxe King bed and a private ensuite bathroom with a large walk-in shower and complimentary deluxe bath and body products. 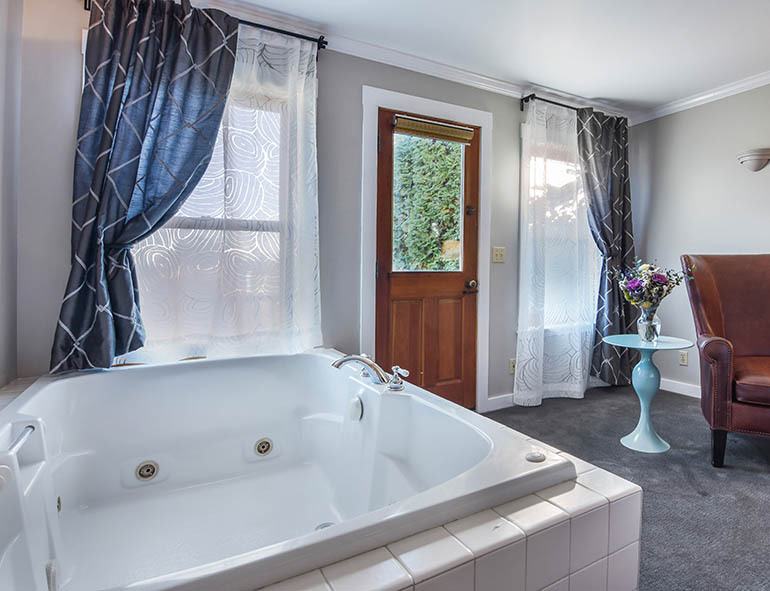 Enjoy the easterly views of the surrounding farmlands and Cascade Mountains from your private covered Jacuzzi tub on the patio. 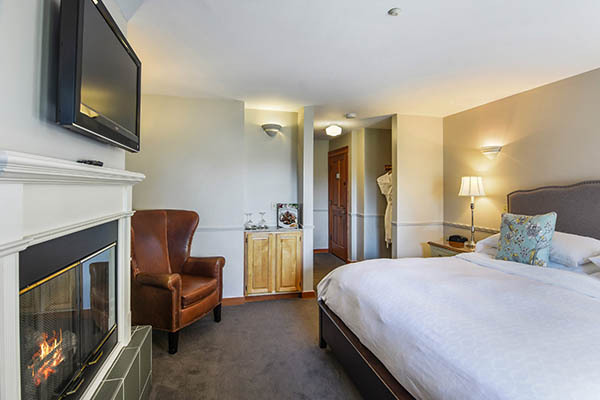 The patio area also features a table and two chairs, and steps down into the garden. 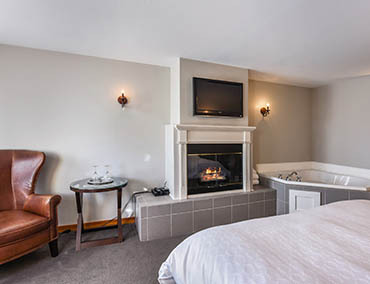 After your relaxing soak in the Jacuzzi tub, wrap yourself up in a soft cotton bathrobe to enjoy your in-suite fireplace, 36” flatscreen TV with HD channels and DVD player. 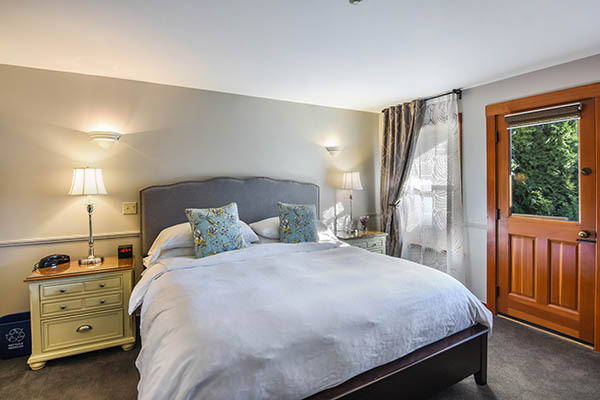 All of our King Suites are located on the first floor and feature two large windows and private garden access. 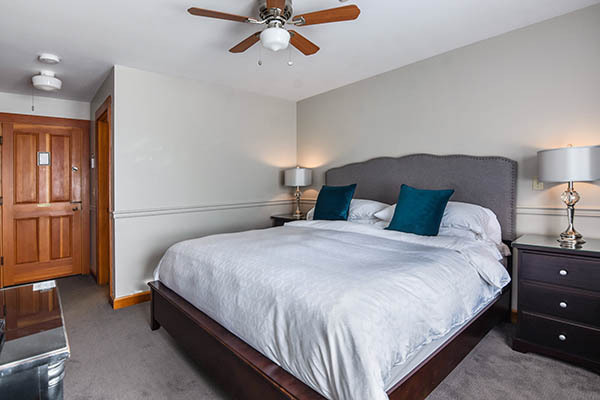 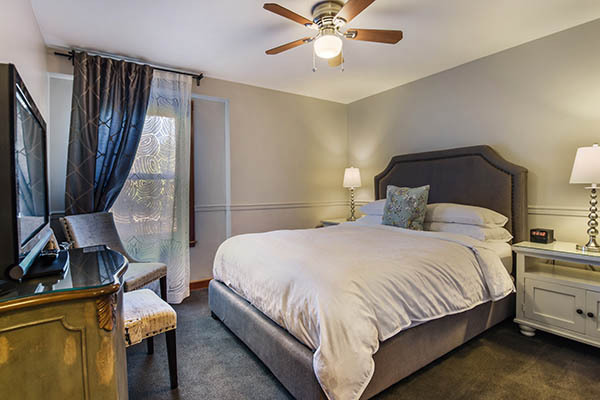 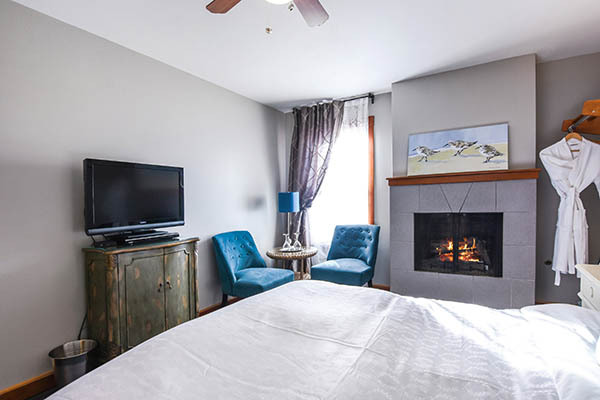 Get a restful night’s sleep in our lovely guest room featuring a comfortable King bed with gorgeous linens, a 36” flatscreen TV with HD channels, and a comfortable chair. 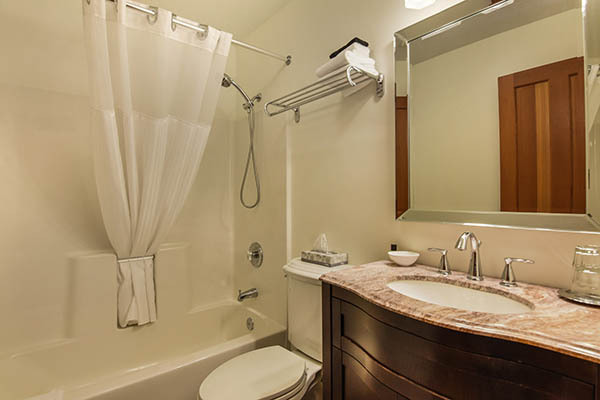 Enjoy a beautiful shower or soak in the tub in the private ensuite bathroom, which also features complimentary bath and body products and a cozy cotton bathrobe. 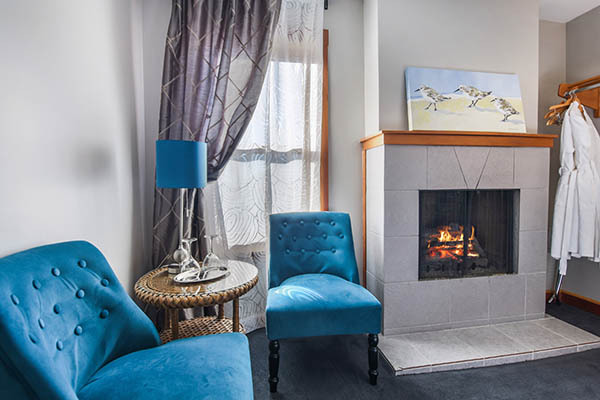 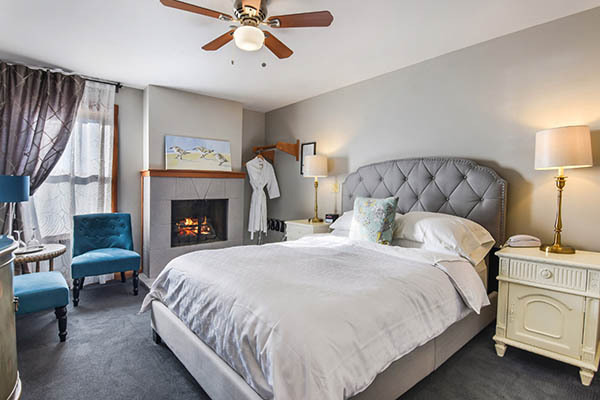 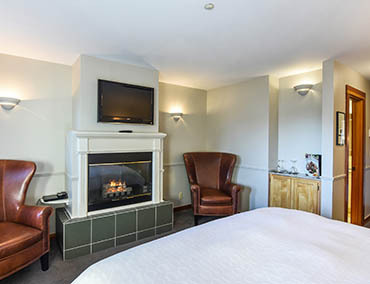 Enjoy a cozy night by the fire in this warm and inviting room, complete with a deluxe Queen bed fitted with fine linens, a gas fireplace, and a 36” flatscreen TV with HD channels. 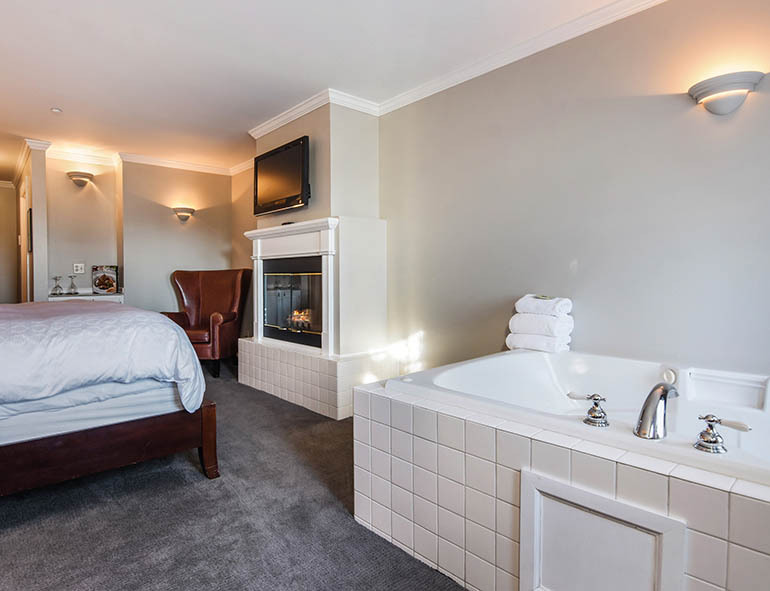 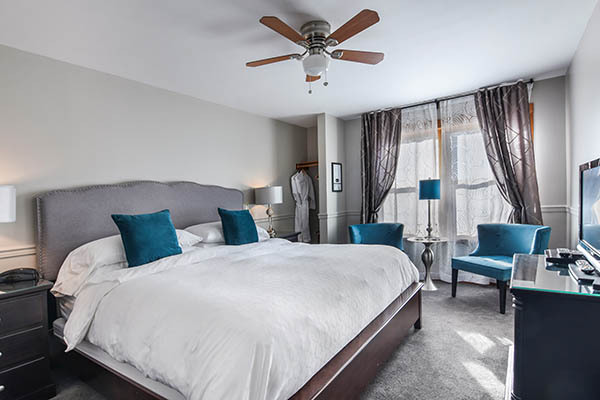 This guest room offers a private ensuite bathroom with a shower and bathtub, complimentary bath and body products, and fluffy cotton bathrobes. 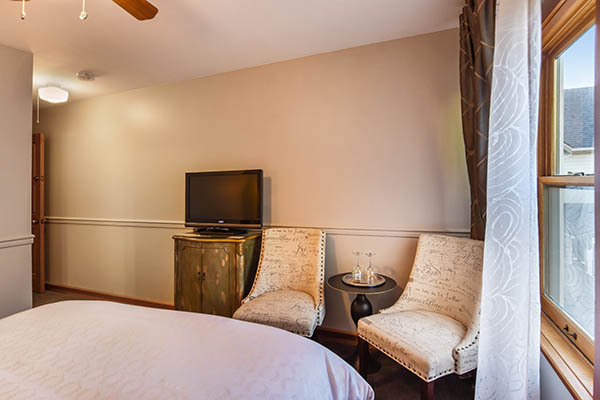 This cozy guest room features a comfortable Queen bed, a 36” flatscreen TV with HD channels. 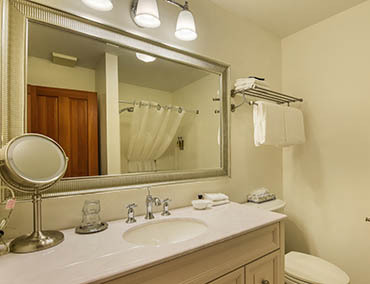 The private ensuite bathroom offers complimentary bath and body products, fluffy cotton bathrobes and extra towels if needed. 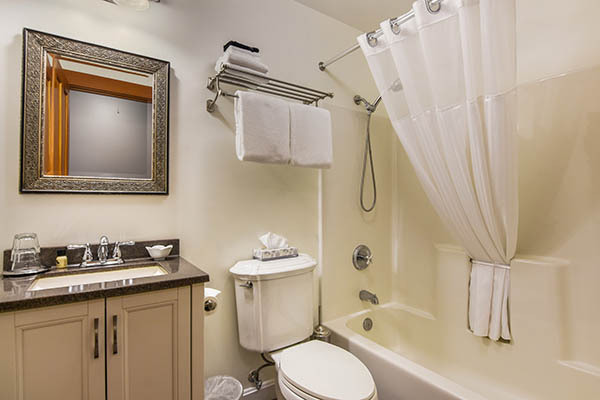 Wild Iris Inn offer one ADA-compliant accessible room located on the main floor, complete with a convenient roll-in shower. 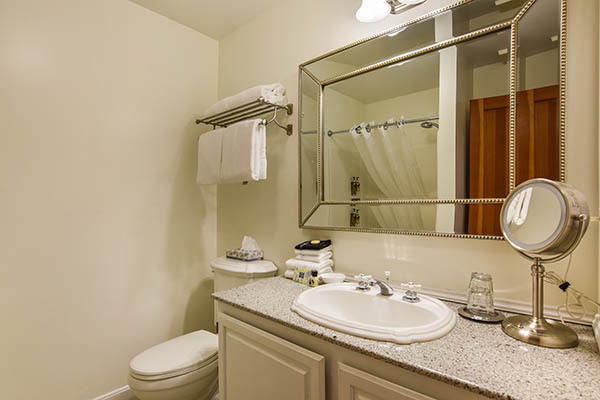 Our inn also features a wheelchair ramp at the front entrance. 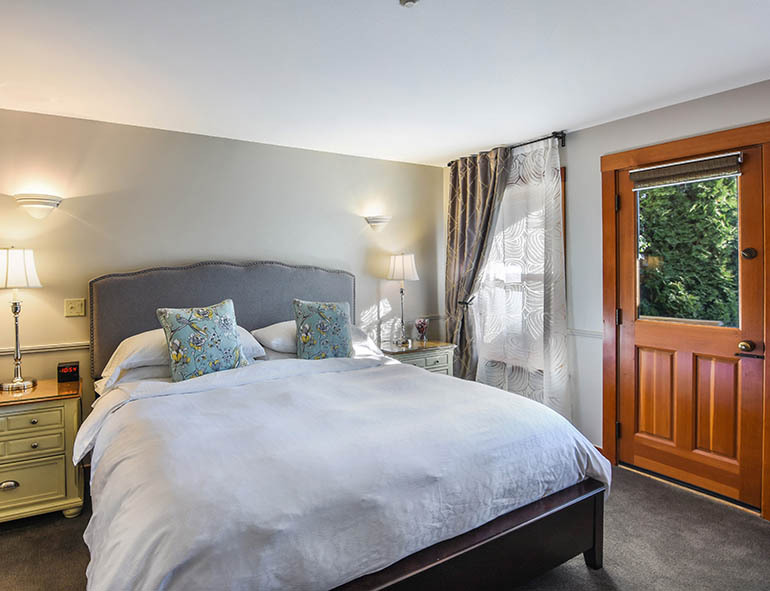 To book our accessible room, please give us a call directly.